Klayman: Time Overdue for Kellyanne to Dump This Piggish Blowhard! To be a fly on the wall in the Conway household. 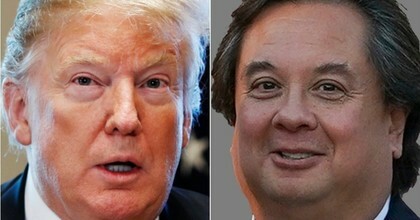 George Conway, the husband of White House counselor Kellyanne Conway, on Friday launched yet another tweeted attack against President Donald Trump. This time, the conservative attorney took aim at his wife's boss over the ongoing partial government shutdown caused by Trump's refused demands for billions of dollars to build a wall on the U.S.-Mexico border.